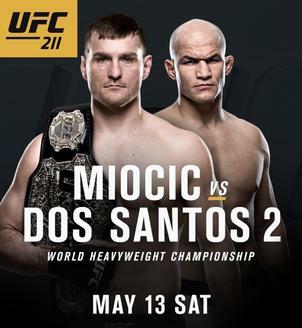 Stipe Miocic gets ready to defend the UFC heavyweight championship against Junior Dos Santos in a rematch. And undefeated strawweight champion Joanna Jedrzejczyk puts her belt on the line against surging Brazilian powerhouse Jessica Andrade. The action goes down this Saturday, May 13 at UFC 211 in Dallas. Now go behind the scenes with Countdown to UFC 211: Miocic vs. Dos Santos 2.